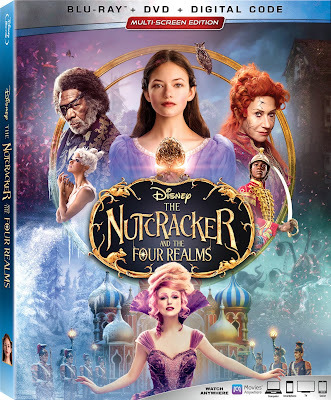 When you don't have a chance to get into the theater to see a movie, but you receive The Nutcracker And The Four Realms on Blu-ray for review, you know you're having a good day! TODAY'S the day - January 29th! 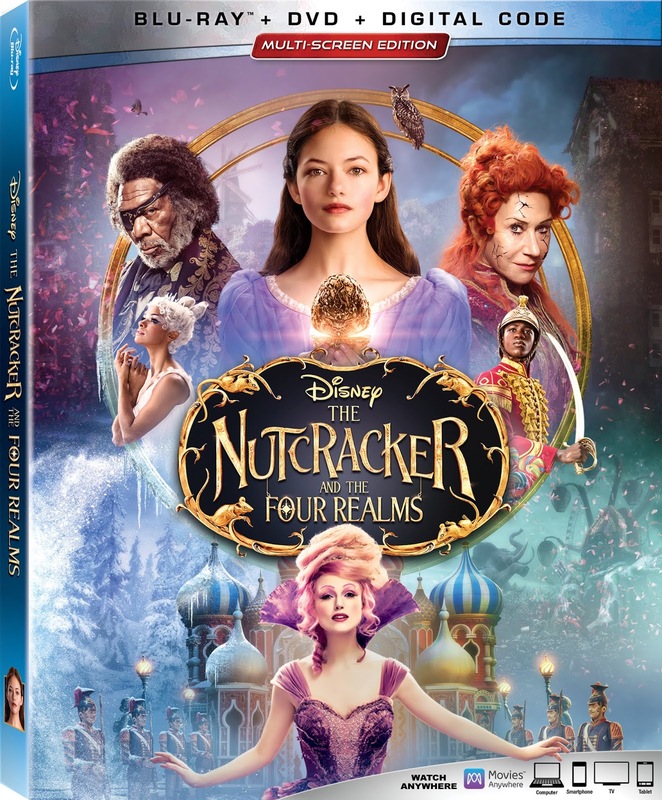 The Nutcracker And The Four Realms releases on Blu-ray + DVD + Digital Code and I'll be giving away THREE of them! Time to get excited everyone. I know I am. When this movie was coming out, and I was watching the trailers, I was hoping I could find time to get into the theaters to see it on the big screen, but is just never happened. Tonight we get cozy on the couch to watch the Blu-ray. I'm sure one of my boys will snag the Digital Code. It's always a race to grab it first. Let's talk about the actual movie! BURBANK, Calif. (Jan. 8, 2019) — Disney's dazzling adventure "The Nutcracker and the Four Realms"- inspired by E.T.A. Hoffmann's classic tale and the beloved ballet "The Nutcracker"- carried audiences along with 14-year-old Clara (Mackenzie Foy) to a magical, mysterious world with breathtaking performances by Misty Copeland plus sweets, snowflakes, soldiers, scurrying mice... and no shortage of surprises. Destined to become an annual viewing tradition for adventurers of all ages, the film arrives home instantly with never-before seen extras and deleted scenes on Digital and Movies Anywhere, and on 4K Ultra HD, Blu-ray™ and DVD Jan. 29, 2019. On Pointe: A Conversation with Misty Copeland - Copeland shares the thrill of portraying one of her favorite characters in a whole new way. Unwrapping “The Nutcracker and the Four Realms” - Dive into the production design, sets, costumes and more that helped transform a beloved ballet into an adventurous movie. The Stahlbaums Arrive- As the Stahlbaums enter the Christmas Eve ball, the butler attempts to announce them to the assembled guests. Follow Your Ribbon- Drosselmeyer encourages a reluctant Clara to go find her gift. Deleted Scene: Clara Asks About Her Mother- Sugar Plum gives Clara a tour of her mother’s bedroom. Left, Left, Left, Left, Left- Wandering lost in the forest, palace guards Cavalier and Harlequin quarrel about which way to go. Out with the Old- Sugar Plum makes sweeping changes to the palace decor. “Fall on Me” Performed by Andrea Bocelli Featuring Matteo Bocelli- Experience superstar tenor Andrea Bocelli and his son Matteo Bocelli performing their first duet together in this uplifting song. “The Nutcracker Suite” Performed by Lang Lang- Get swept up in a series of images from the movie, set to Tchaikovsky’s music and featuring world-renowned pianist Lang Lang. Unwrapped: The Visual Effects of “The Nutcracker and the Four Realms”- View a reel that explores the layers of effects in sequences of the film. 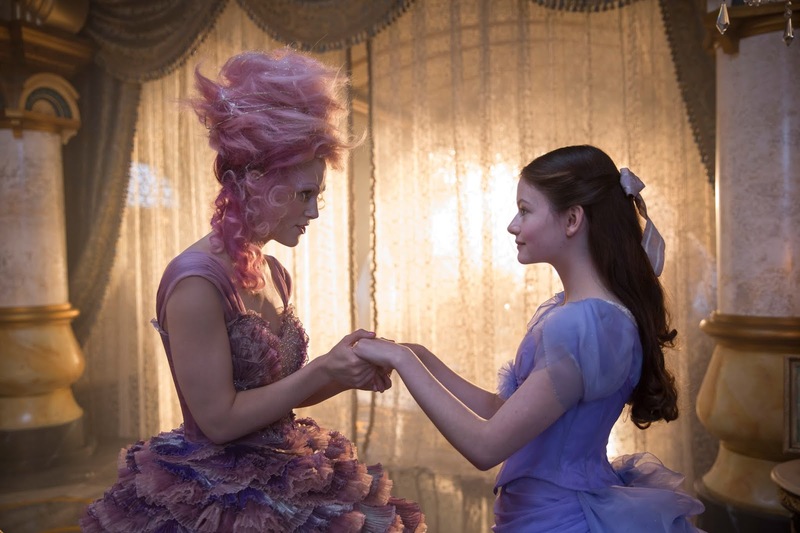 In the coming-of-age tale, “The Nutcracker and the Four Realms,” Keira Knightley stars as the Sugar Plum Fairy and Mackenzie Foy portrays Clara. Helen Mirren brings much-feared Mother Ginger to life, and Morgan Freeman stars as Clara’s eccentric godfather, Drosselmeyer. Eugenio Derbez and Richard E. Grant play Hawthorne and Shiver, the regents of the Land of Flowers and Land of Snowflakes. Jayden Fowora-Knight was cast as Phillip Hoffman, the Nutcracker soldier come-to-life. Matthew Macfadyen, Ellie Bamber and Thomas Sweet were called on to play Clara’s father Mr. Stahlbaum, sister Louise, and brother Fritz, respectively. Omid Djalili and Jack Whitehall portray palace guards Cavalier and Harlequin, and the film features a special performance by ballet greats Misty Copeland and Sergei Polunin. 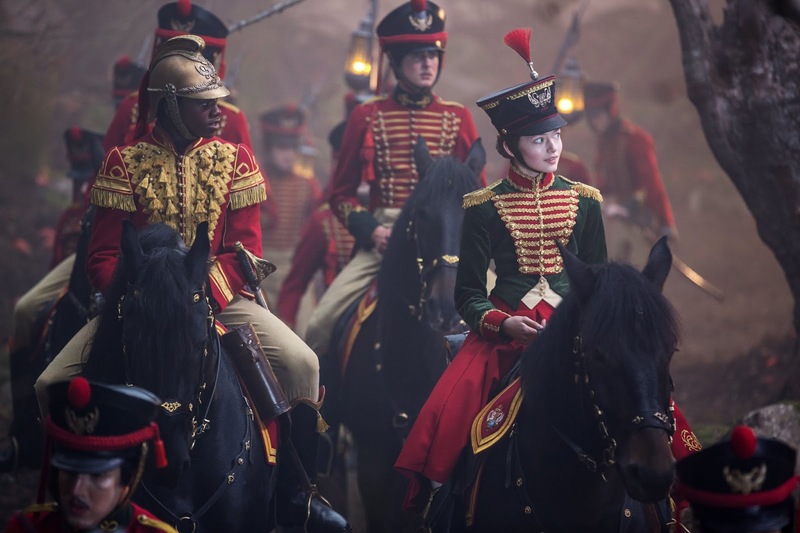 Filmed in England at Pinewood Studios and various locations in and around London, “The Nutcracker and the Four Realms” is directed by Lasse Hallström and Joe Johnston. Suggested by the short story “The Nutcracker and the Mouse King” written by E.T.A. Hoffmann, and “The “Nutcracker” ballet written by Marius Petipa, the screen story and screenplay are by Ashleigh Powell. The film is produced by Mark Gordon and Larry Franco, and executive produced by Sara Smith and Lindy Goldstein. 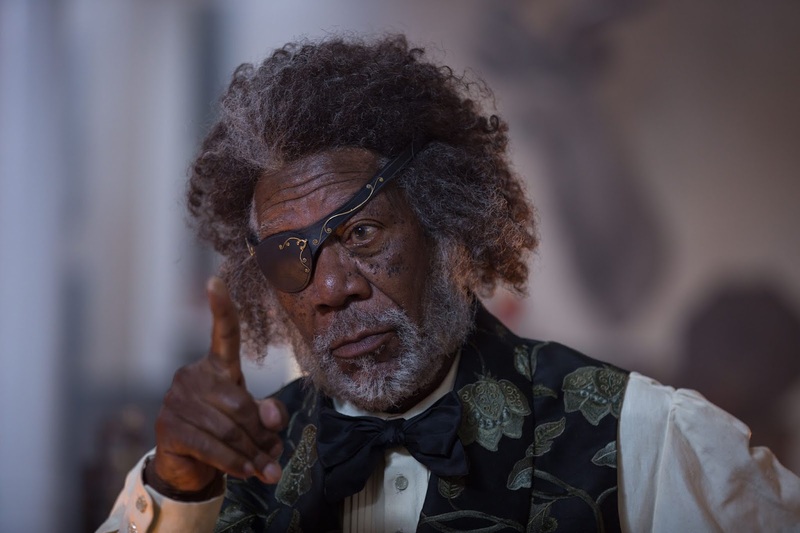 Linus Sandgren, F.S.F., is the director of photography, Guy Hendrix Dyas serves as production designer and Stuart Levy, ACE, is the film editor. Jenny Beavan and Jenny Shircore are the costume designer and makeup and hair designer, respectively. Max Wood and Marc Weigert are the visual effects supervisor and visual effects producer, respectively. Music is by James Howard with a score conducted by Gustavo Dudamel, featuring piano soloist Lang Lang. Now you have the chance to win 1 of 3 copies! The last Disney movie I saw in theaters was Ralph Breaks the Internet and it was hilarious. Avengers Infinity War was the last Disney movie I saw. The last Disney movie I saw was Mary Poppins Returns and we loved it! Ralph Breaks the Internet was the last Disney movie I saw with my family.